This generously sized cutting board designed by Philipp Mainzer is characterised by a functional hole, offering superior handling ease. 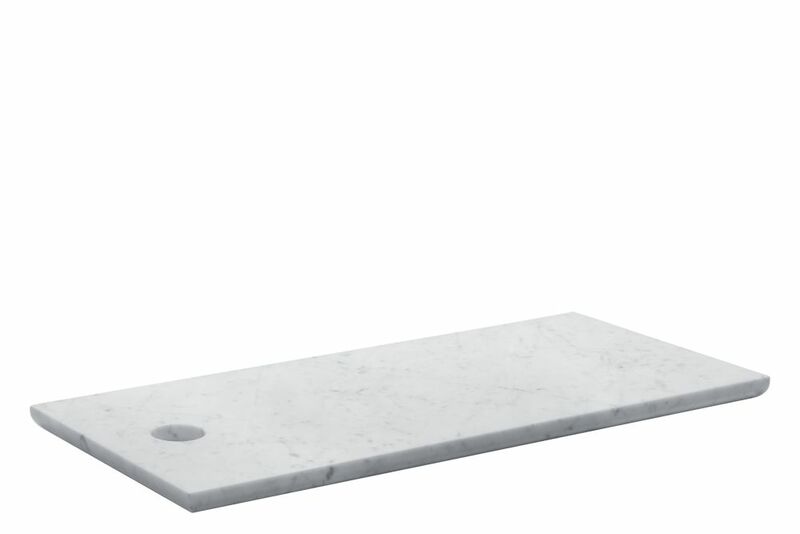 Available in a round and two rectangular shapes, CUT is presented in solid European oak or white Carrara marble. Combining the clear and essential shape with a luxurious note, CUT is ideal for preparing as well as serving food. Metal bracings inside the solid wood avoid deformation from moisture. For hygienic reasons the solid wood CUT is untreated.